Copper and Cross is a handmade home wares initiative launched in Byron Bay in 2015. We are obsessed with creating using our human hands because we love the integrity and quality that is unique to homemade products. Our design aesthetic focuses on textures, raw materials, and monochrome, metallic palettes mixed with sharp splashes of colour. Think bohemian/modern/mexican. Mohemican? Bodernican? Copper and Cross was born when our Director and Weaver, Laksmi set out to make a plant hanging, had a nostalgic moment with her eight-year-old self (aka paddle pop sticks and yarn) and came out with a woven cross. She was hooked. Addicted to the actualisation of products, the stories you could feel in them, manifested through quality craftsmanship. Copper and Cross has grown around the original cross prototype, along with a bevy of other products – including the first ever modern luxury candle hand-poured and served in sealed tin cans, and our ever popular Chunga Rounds. 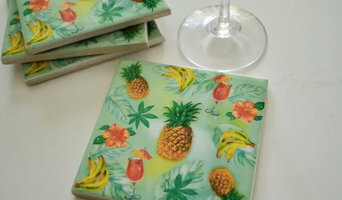 Retro Pickles specialises in unique handcrafted tile coasters. Each coaster in individually created and crafted @ Crystal Creek, Australia using Eco friendly products sourced from local small businesses. Established in 1973, Oaten’s is a family business that has grown from small beginnings. Sprouting up from a small appliance store in Kyogle, Oaten’s is now a popular and trusted modern showroom dedicated to quality, service and modern lifestyle needs. Lazybones takes a fresh and whimsical approach to designing clothing and homewares for modern, relaxed living. Inspired by vintage, Lazybones homewares including bedding, ceramics and wallpaper inspires a playful approach to creating unique spaces within our homes. Our aim is to continually evolve each season designing products that surprise and delight our customers who have grown to love our brand across the world. Enter our world of all things Lazybones! 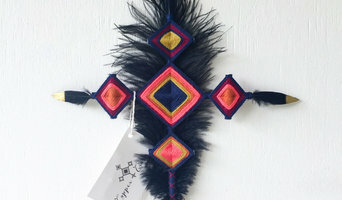 LUXE BOHEME INTERIORS A collection of wildly inspired wares for those who love to lounge about. A journey by design - the Rokabela label embodies the elements of a stylish safari crafted on the principles of Luxury X Comfort. 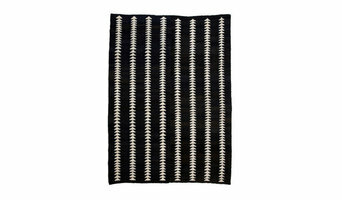 Proudly Australian designed and made; we favour an eco-conscious approach in the creation of our products and textiles. Byron Bay Hanging Chairs was created out of pure 'love and obsession' with the iconic hanging chair from the 60's and 70's. The classic shape, the raw natural material and the charm it can bring to your home. Curled up with cup of tea in the morning, reading a good book throughout the day and laughing with friends over a wine in the evening. A hanging chair can offer cosy comfort and makes for a statement design feature in your indoor or outdoor undercover space. A Colourful Life was founded in 2012 by mother & daughter Senga & Jess. Our range includes quality indoor & outdoor cushions. All of our items are made by hand in our studio with a strong emphisis on colour, quality & uniqueness. HENDRIX & Harlow is an Australian brand that embodies an authentic style of living through an ever-evolving collection of custom-made furniture, homewares and art. We apply the philosophy of ‘original creation with soul’ and believe in using recycled and sustainably managed timber and environmentally friendly finishes in every custom made piece. We deliver Australia-wide. Bâteau by Night set sail in 2016 to create beautiful handcrafted décor, with a modern bohemian aesthetic. Founded on an ethically minded, non-mass produced philosophy; each piece is 100% handwoven in our Byron Bay studio and embodies many hours of thought, handiwork and heart. Our current collection focuses on luxe macrame director's chairs, lampshades and wall hangings. JD.Lee Furniture was born from Jeremy’s passion to create and his belief in supporting the environment and creating a sustainable future for his small family. Living on the beaches Jeremy’s appreciation for a balanced lifestyle has always driven him to follow his passion and always try his best. After completing his studies in Industrial design Jeremy went on to start an apprenticeship as a furniture maker where he developed his skills in traditional joinery and craftsmanship. 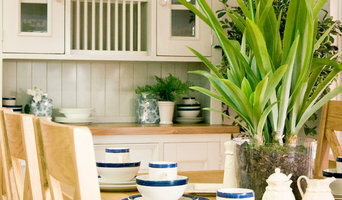 Sustainable design and manufacturing are at the forefront of JD.Lee Furniture. Having experience in both the industrial design and manufacturing industries Jeremy identified the need for a holistic approach to furniture design, where a real understanding of the manufacturing process is necessary. Inspired by other Australian designers, makers and creatives also working towards a balanced lifestyle and sustainable future Jeremy opened the JD.Lee Furniture workshop in 2015. At JD.Lee Furniture we try and keep things as simple as possible. We believe in using natural products and materials combined with traditional craftsmanship to create honest furniture for happy homes. Our timber comes straight from the place it is felled, to the mill to be turned into planks and seasoned for use. It is hand selected and carefully crafted into strong, beautiful furniture. We then personally package and send each item with love to your home. Tropicana imports brings to you excellent quality, authentic handcrafted hammocks. Our hammocks are made from densely woven, colourfast cotton. They come in a mixed variety of colours and are attractively packaged for retail sales. Into The Fold is design focused with a quirky edge. Our weatherproof cushions are versatile and durable without compromising on style. Our minimalistic, monochromatic designs enable their surroundings to do the talking. The weatherproof fabric is perfect for households with kids or pets, it is suitable for outdoor living but soft enough for indoors. By purchasing one of our products, you are being welcomed into the family, welcomed "Into the Fold". Whatever your situation, it’s always a good idea to do some research before visiting a Bexhill, New South Wales retailer or furnitures stores you find online. Start your research right here on Houzz. Read through Bexhill professionals’ profile pages to find out location info, look at any photos of their work and check how long they've been in business. Read any reviews by design professionals and find out which furniture makers offer the best customer service. If your style or New South Wales space is unique, it will be wise to consult a custom furniture maker. Here are some related professionals and vendors to complement the work of product designers: . Many New South Wales home furnishers offer interior design consultations or room planning guides to get you started. Whether you decide to work with a home decor specialist or to become your own expert, it’s important not to rush the furniture-buying process. Visit plenty of Bexhill, New South Wales showrooms and stores so you can feel comfortable with your purchase. Find furniture and accessories manufacturers, showrooms and retailers on Houzz. Narrow your search in the Professionals section of the website to Bexhill, New South Wales furniture and accessories, then choose the nearest metro area for showrooms and retailers. Or you may want to look through New South Wales photos to find designs you like and contact the furniture manufacturers and showroom galleries directly.